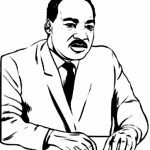 Everybody knows that Martin Luther King Jr. is the leader of the Civil Right Movement long time ago in the United States. 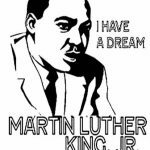 He is one of the the most popular social activists ever recorded in the history. 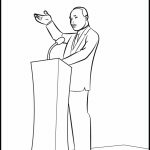 Unlike his colleague Malcolm X, King Jr. insisted that the acknowledgement of the rights of the African-American people must be acquired through peaceful way. He struggled with diplomacy and good deeds. 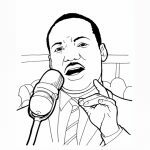 There is certainly a lot to learn and a lot to teach about King Jr. to our kids. He's a good role model when it comes to integrity, persistence, and hard working. 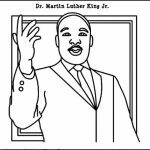 If you want to teach your kid about his history and legacy, the following Martin Luther King Jr. might make the learning more fun. 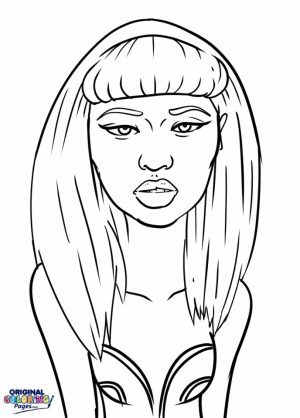 As usual, you may use these printables without paying a single cent but you must keep them for personal and educational purpose only. 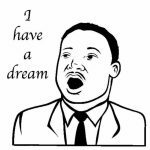 You can see King Jr. portrayed with his iconic quote "I have a dream". 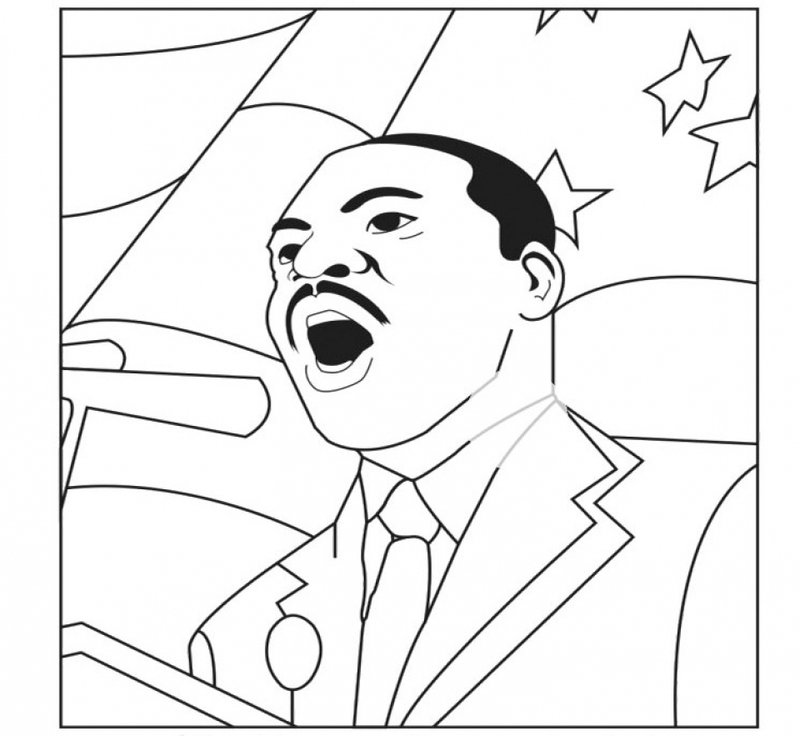 Also, there are some printables that show children celebrating MLK day. 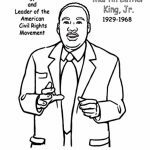 Some of them even have quite a lengthy text explaining who King jr. is and what he did that makes him an important figure in USA history. Check it out below! 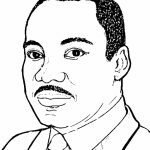 Fun Facts about Martin Luther King Jr.
His name was originally Michael, not Martin. 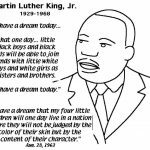 His father was also Michael King, hence why Martin Luther King Jr. was originally named Michael King Jr. 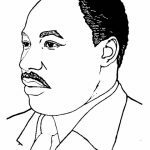 However, after a trip to Germany in 1931, Michael King Sr. changed his own name in homage to historic German theologian Martin Luther. 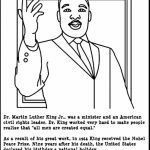 Michael King Jr. was two years old at the time and King Sr. made the decision to change his son’s name to Martin Luther as well. 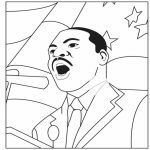 In his efforts to fight segregation and inequality, King traveled more than six million miles and spoke more than 2,500 times. 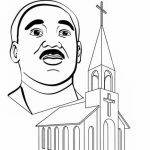 As he noted in his famous “Letter from a Birmingham Jail” King served as president of the Southern Christian Leadership Conference, which had more than 80 affiliated organizations throughout the South. He didn't use phone because He couldn't tell himself to sit idly when he saw an injustice, no matter where it is. On the day King was killed, he was out on the balcony for a smoke. While you’ll be hard pressed to find a picture of him smoking, he smoked regularly, though had a habit of hiding this partially due to the stigma, particularly within the church at the time, but also because he didn’t want his kids to take up smoking, and so didn’t like pictures of himself doing it, nor did he like to smoke when they were around. He was wicked smart. 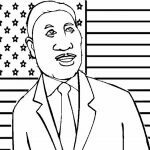 Martin Luther King Jr. attended college at age 15 after skipping grades nine and 12. 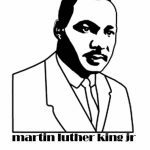 At Morehouse College, Dr. King joined the Alpha Phi Alpha fraternity and graduated in 1948 with a bachelor of arts in sociology. 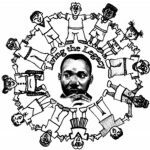 In February 1959 Martin Luther King Jr. traveled to India to study Mahatma Gandhi’s principles of non-violence. 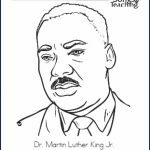 Gandhi’s principles of peaceful resistance had a lasting impression on Martin Luther King Jr., he used them in his fight against racial discrimination. 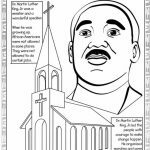 Related Posts "Martin Luther King Jr Coloring Pages"